Extra layers of gel-infused foam mean more pressure relief and greater support. Sleep in cool luxury on the 14" Series MyGel memory foam king mattress. Cooling layers of gel infused memory foam and breathable hollow yarn fibers wick away moisture and dissipate body heat for a cooling effect. 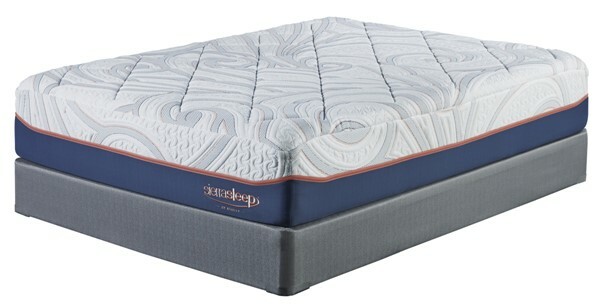 You'll love the feel of contouring support and pressure-relieving comfort as the layers of memory foam also work to minimize motion transfer for an undisturbed sleep. Active charcoal and green tea extract infused into MyGel keeps your mattress fresh. A luxury four-way stretch knit cover tops the mattress and provides a beautifully soft sleep surface that's quite inviting. Foundation/box spring available, sold separately.